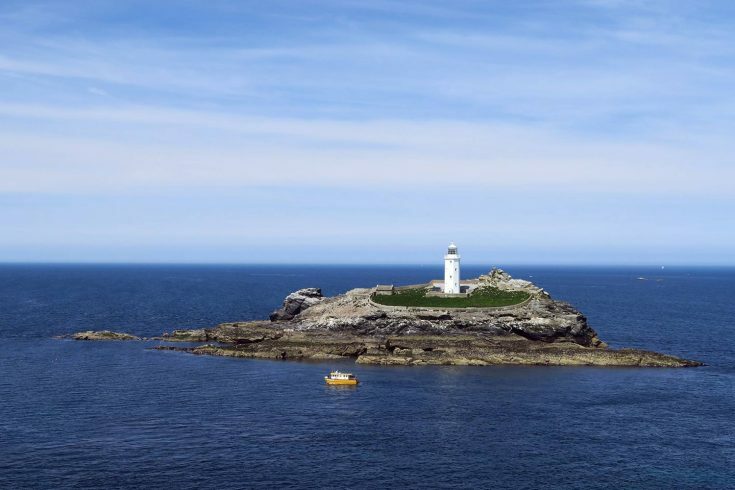 A beautiful 4-bed holiday house in a spectacular coastal setting, with panoramic sea views extending across St Ives harbour, town and beaches all the way to Godrevy Lighthouse. 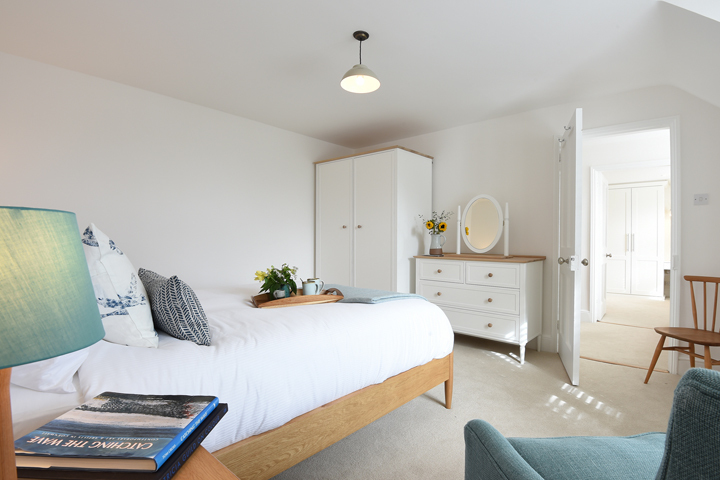 Chy an Carrack sits just below the South West Coast Path, a few minutes walk from the family friendly golden sands of one of St Ives’ best beaches – Porthminster, and its top seafood restaurant. 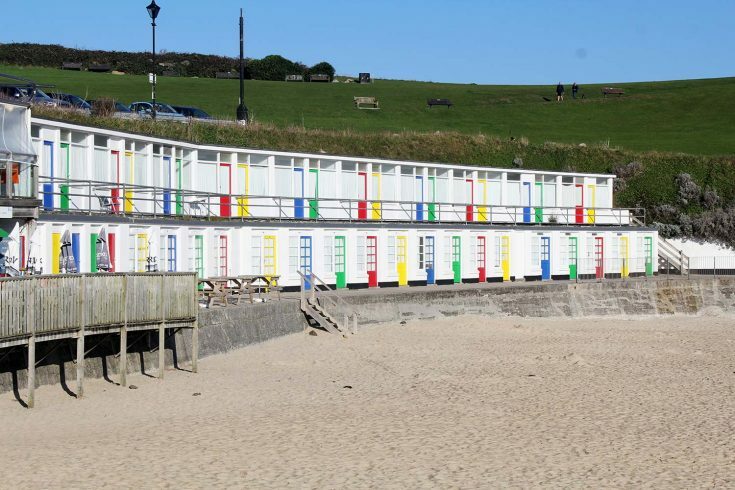 Its just a short stroll to the town to enjoy the lovely cobbled streets, shops, fishing harbour, and the artistic heritage and sights such as the numerous art galleries, the Tate and the Barbara Hepworth Museum & Sculpture Garden. 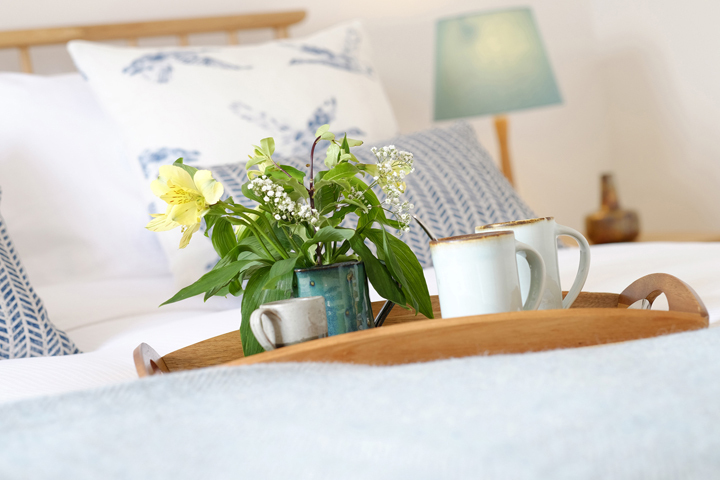 The stylish house is as beautiful inside as its setting outside, with a soft seaside palette and top quality furnishings and decoration. 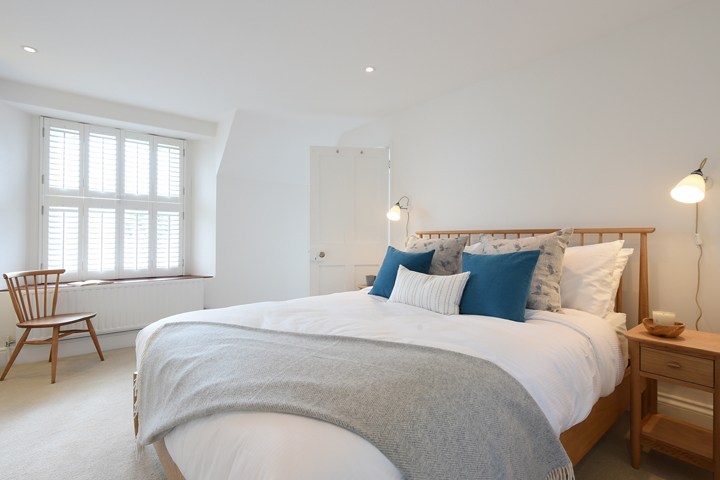 4 well-appointed upstairs bedrooms plus a downstairs snug/extra single bedroom – sleeping up to 8. 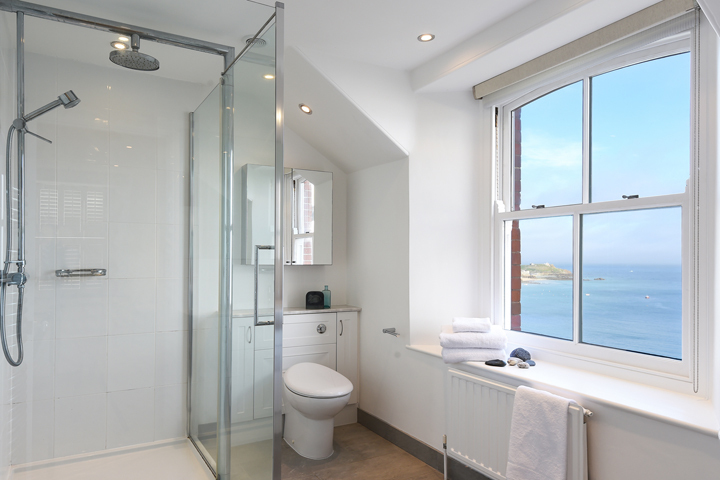 Family bathroom plus 2 en suite shower rooms and downstairs cloakroom. 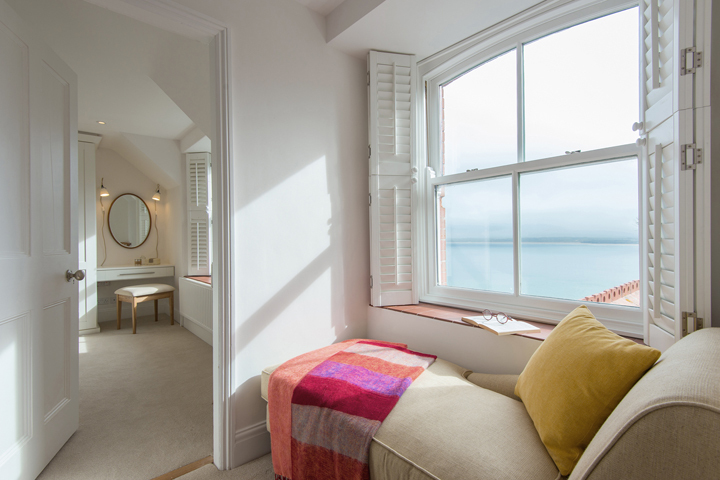 Relax in the luxurious living room or watch the boats go by from the comfortable conservatory – both have panoramic sea views. Sub-tropical terraced garden and private dining patio. From the minute you arrive, this lovely holiday property is a delight. Please see chyancarrack.uk for a Handy Guide of Things to Do nearby. Property has 1 downstairs bedroom and cloakroom, all other bedrooms and bathrooms/showers are upstairs.